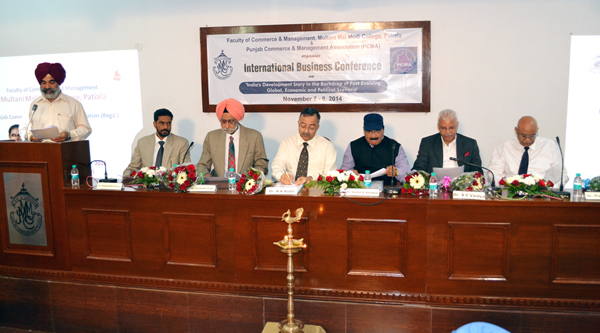 Faculty of Commerce and Management of M M Modi College, Patiala oraganised two-day ‘International Business Conference’ in collaboration with Punjab Commerce and Management Association. The theme of this conference was ‘India’s Development Story in the Backdrop of Fast Evolving Global, Economic and Political Scenario’. 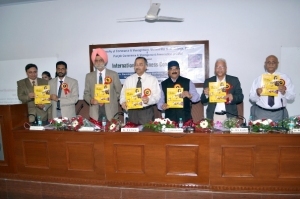 Chief Guest of the conference Dr. R. K. Kohli, VC, Central University, Bathinda, emphasized the need to revisit the education system, redesign it and reorient it according to the needs of the society. He also stressed upon the need of establishing linkages between the development and sustainability. No development can sustain if it has negative impact on the environment and natural resources of the economy. Dr. R K Kohli was honoured with ‘Management Excellence Award’ by the PCMA. College Principal Dr. Khushvinder Kumar welcomed the guests and the delegates. Dr. Sachin Vernekar delivered the keynote address. In the second part of inaugural session ‘Panel Discussion’ was organized where Dr. Prem Kumar, President Emeritus PCMA, Dr. C. R. Bector (Canada), Dr. Jagdish Khatri (Allahabad), Dr. D. S. Ubha (Principal, Khalsa College, Patiala) and Dr. Tajinder Singh (Punjabi University) discussed various aspects of the theme of the conference. India’s development story begins with first century when its share in world’s GDP was 32.9%, it came down to 25% in 17th Century and to a little more than 6% in 21st century. This decline in India’s GDP means decline in India’s strength at the international level. There are both economic and political reasons for this decline. This conference is organized to grasp the intricacies of economic and political cobweb. This understanding will help us in unbundling it and guiding our planners. We have to appreciate the working of various sectors of the economy, changes in the manner in which business is managed with the introduction of new technology, societal preferences due to increase in the number of middle class families as well as the agenda of political parties. Dr. G. S. Batra, President, PCMA, informed about the various activities and achievements of the association. About 14 research scholars presented their papers. 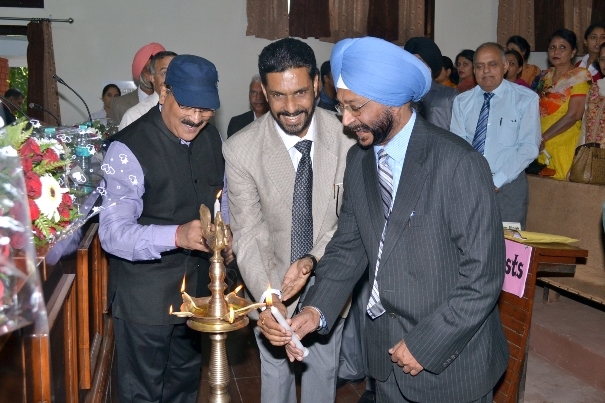 Prof. Nirmal Singh, Dean (Commerce) and Dr. Ashwani Bhalla (PCMA) conducted the stage. Col. Karminder Singh (Retd. ), Member, Modi Education Society presented the vote of thanks.